Organisations are ever-changing environments. Made up of people, process­es, systems, policies and products. Some are more successful than others for many reasons, including focus, vision, employing talented and competent people who want the Company to succeed, innova­tion and discipline. And a key success factor is equal treatment and gender representa­tion at all levels. Gender equality. The outcomes are well known. Companies with a strong track record of gender diversity are 15% more likely to have higher earnings than their peers. Among all fortune 500 companies, those with the highest representa­tion of women on their boards sig­nificantly outperform the others. Indicators that assess gender equality in Organisations include equal pay for equal work (includ­ing superannuation and bonuses), promotional opportunities and ca­reer advancement, equal benefits and development options to en­gage in further study, for example. But in most countries, this does not occur. 2016 researchinto perceptions of gender equality by the Fiji Wom­en’s Forum found 61per cent of re­spondents felt that men and wom­en had equal rights in Fiji, while 36% disagreed. More women than men agreed with the statement (66 per cent women, 56 per cent men). To verify these findings, I spoke with 21 of our clients in Fiji and it seems the outcome is not quite so decisive. More than half I talked to believe gender inequality at work is alive and well. Only a third believe both genders are treated equally at workplaces in Fiji. Either way, in most countries we have a long time to wait until gen­der equality in workplaces is truly addressed. Research undertaken by wefo­rum.org recently indicated that wit will take 80 years for women around the world to achieve eco­nomic equality with men. Failing to strive for gender equal­ity denies women basic human rights and significantlyreduces their economic potential. Poverty, low salaries for women, economic inequality, disregard of women to contribute significantly to leadership in some countries, a lack of opportunity for women (specifically those living in rural regions) affect not only women, but children, families, villages and society overall. Women in remote areas, hindered by geographical location, distance to travel to work, looking after children and attending to aging parents are often the most affected. Internationally there is major commitment, under the United Nation’s 17 Global Sustainable Development Goals (also known as transforming the world), to incorporate gender equality as a strategic universal call to action to end poverty, protect the planet and ensure that all people enjoy peace and prosperity. Clearly positive steps, but there are challenges. A recent study by the World Bank in 173 countries discovered that 155 countriesstill have some form of legal discrimination against women. This ranges from a lack of prop­erty rights, the inability to confer citizenship to children and the need to obtain a man’s permission to obtain basic forms of ID, for ex­ample. In some countries, today, women are still not allowed to vote or to drive. The latter can significantly hinder a female to get to work, be paid and ultimately, support her family. Diversity—from gender diversity to culture, age, and race—fosters creativity and innovation. Mighty organisations like Price­Water house Cooper,Disney and L’Oreal are looking to benefit from a diverse and inclusive work envi­ronment, as all businesses should. Men and women will inevitably have different experiences and backgroundsand approach their work and business differently. diversity,challenging each other respectfully and collaborating with people who think differently breeds creativity and often results innovative ideas that push Organi­sations forward. Soft skills and emotional intelli­gence is proving a key competitive advantage for women in business. A 2016 study published by the global consulting firm Hay Group found that women outperform men in 11 of 12 key emotional in­telligence competencies. These competencies included emotional self-awareness, empa­thy, conflict management, adapt­ability, and teamwork—all essen­tial skills for effective leadership in the workplace. Source: Hult International Busi­ness School. Good leaders generally mean happy people, which mostly means happy profits. Whe clearly, gender inequality, in business, relationships, leader­ship and communities still thrives and businesses of all sizes have a key role to play in addressing this issue. As an organisation, we take this seriously and we see our role is to help businesses address this gen­der inequality that leaves many women floundering and lacking in confidence to thrive at work and in life overall. To meet this challenge,empowering women to thrive at work, a 12-stage program, was borne and is currently being run internationally. 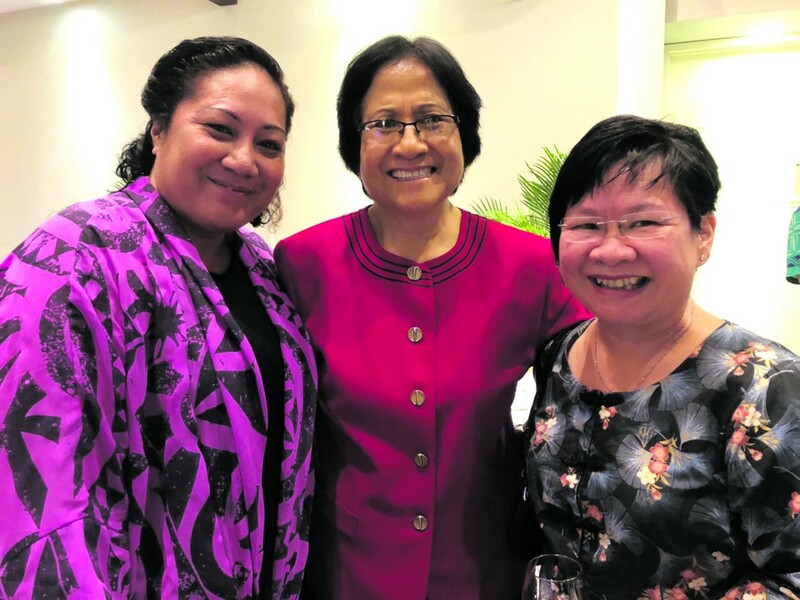 Congratulations Fiji Institute of Bankers for being the first or­ganisation in Fiji to run parts of this Program for its 600 members, recognising the importance of ad­vancing women at all levels. Empowering women to thrive at Work isnot aimed only at women in leadership, but women in all roles. Administration, sales, tech­nology, leadership. Any role, any level.The philoso­phy behind this initiative is to help women around the world, thrive. 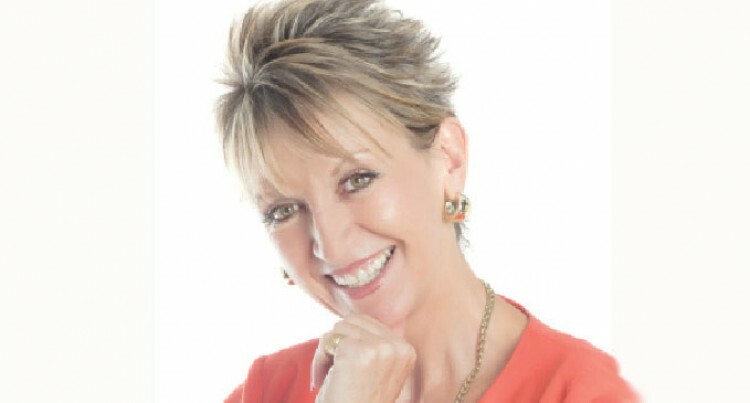 A 9 stage women’s online empow­erment Program, Be Unstoppa­ble, is being uploaded for women around the world to access, as I write this column. Women struggle with common problems and our intention is to help women at all levels in society (not only business), thrive. Empowering women to thrive at work can be adapted to focus on empowering women in leadership roles, empowering people at work and Organisations can choose 12 or fewer topics to empower their female staff. Goal-Setting: Creating the fu­ture you want. Let’s work as businesses in Fiji (and around the globe) to address gender inequality in our organi­sations, communities and society overall. In line with the United Na­tion’s 17 global goals for sustain­able development, by working towards achieving these goals (in­cluding gender equality) we set the tone and direction for develop­ment and aid world-wide, for the next 15 years. By regarding genders as equal and achieving the global goals, we will give the world a chance to end poverty and ensure that peo­ple’s human dignity and rights are respected,regardless of whether they are male or female. Your organisation has a key role to play. In future Fiji Sun publications, we will feature these topics..